To access the full array of Services, you will need to create an account. That account may be created directly by you, or may be created by an administrator on your behalf. In either event, you recognize the importance of keeping your account password confidential, and agree that you are responsible for activity that happens on or through your account. If you suspect any unauthorized use of your account please contact us here. We will continue to update and change the Services, by both adding and removing features, functionalities, and services. We reserve the right to make these changes, or terminate the Services altogether, at any time, subject only to a Separate Agreement. You may terminate your use of the Services at anytime, also subject to any Separate Agreement. If we decide to terminate a Service, as much as possible we will provide you with advance notice and an opportunity to archive data. While we will do our best to work with you to archive data in the event you terminate Services, we cannot guarantee the availability of any data after you terminate Services or request deletion of an account. Otherwise use the Services in a manner inconsistent with applicable law. While we promise to use a commercially reasonable level of skill and care in providing the Services, there are certain promises we don’t make. Some jurisdictions provide for certain warranties, such as the implied warranty of merchantability, fitness for a particular purpose, and non-infringement. To the extent permitted by law, we exclude all warranties of any kind. Assumption of Risk. You know and understand the scope, nature, and extent of the risks involved in the Services and Activities. You understand these risks include, but are not limited to personal injury, damage to property, and/or death. You voluntarily, freely and expressly choose to incur all risks associated with the Services and Activities, understanding that those risks may include personal injury, damage to property, and/or death. Exemption and Release From Liability. You exempt and release Harter Strength & Conditioning LLC., any partner organization, and each of their officers, agents, volunteers, employees, representatives, and contractors (collectively, the “Released Parties”) from any and all liability, claims, demand, or causes of action whatsoever arising out of any damage, loss or injury to you or your property, or your death, while engaging in the Services and Activities, except those claims arising out of the gross negligence or willful misconduct of a Released Party. In any event, to the maximum extent permitted by law, the Released Parties will not be liable for any direct, special, incidental, indirect, punitive, consequential or other damages arising out of the Activities. Covenant Not To Sue. You agree never to institute any suit or action at law or in equity against any of the Released Parties, or to initiate or assist in the prosecution of any claim for damages or cause of action which you may have by reason of injury to your person or property, or your death, arising out of the Services and Activities, except for those claims arising out of the gross negligence or willful misconduct of a Released Party (collectively, “Waived Claims and Actions”). You further agree that your heirs, executors, administrators, personal representatives, and/or anyone else claiming on your behalf, may not institute and may not assist in any Waived Claims and Actions. You hereby so instruct your heirs, executors, administrators, personal representatives and/or anyone else claiming on your behalf. Should a Waived Claim and Action be instituted against any Released Party, you agree that the Released Party will be entitled to recover attorneys’ fees and costs incurred in defense of such suit or action, including any appeals there from. You agree to fully defend, indemnify, and hold the Released Parties harmless, including payment of all costs of defense, any judgment, fines or penalties, and any attorney’s fees or other costs imposed by a court, agency, or under a settlement agreement, against liability of any kind arising out of your participation in the Services or Activities. Representations and Warranties. You represent and warrant that you are of sound body and mind, and in a physical and mental condition capable of handling the conditions that you will encounter during the Services and Activities. You further represent and warrant that to the extent you suffer from any physical or mental infirmity, chronic ailment, or injury of any nature, that you have consulted with a medical professional and received clearance to participate in the Services and Activities, that you are capable of self-administering any medications or other treatments that you require, and that you recognize and assume the risk of engaging in the Services and Activities in light of your condition. If the Services are being used on behalf of a business, that business agrees to these Terms, and you warrant that you have the power to bind the business to these terms, including the limitation of liability above. We reserve the right to change or modify these Terms at any time and any changes will be effective upon being posted unless we advise otherwise. If we make any material changes to these Terms we will notify you by email (sent to the email address specified when you register) and/or by means of a notice on the Harter Strength & Conditioning LLC., website prior to the change becoming effective. 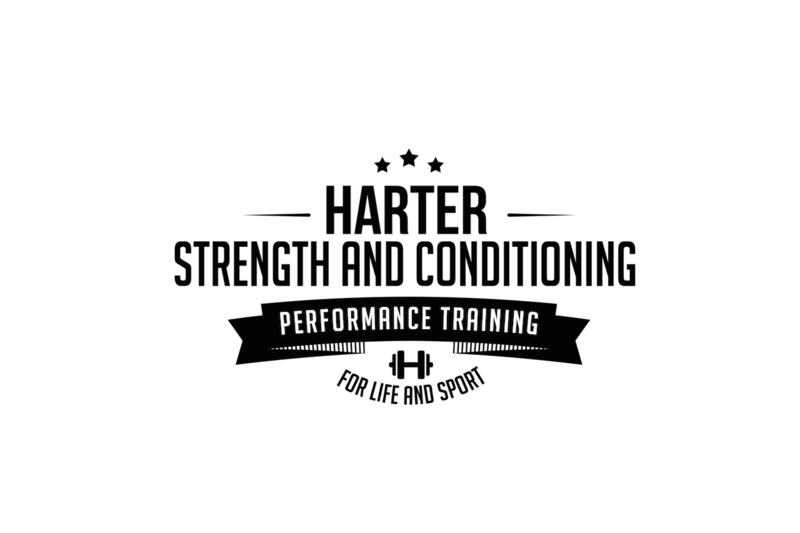 We encourage you to periodically review the Harter Strength & Conditioning LLC., website for the latest Terms. The invalidity, illegality or unenforceability of any provision of these Terms will in no way affect the validity, legality or enforceability of any other provision. These Terms will be binding upon and inure to the benefit of the parties hereto and their respective successors and assigns, subject to the limitations set forth herein. Any waiver of compliance with these Terms must be in writing, and waiver in one instance will not be deemed a waiver in any future instance. These Terms and actions taken thereunder will be governed by, and construed in accordance with, the laws of the Commonwealth of Massachusetts, applied without regard to conflict of law principles, and the Courts of the Commonwealth of Massachusetts will have exclusive jurisdiction over any claim arising under these Terms.